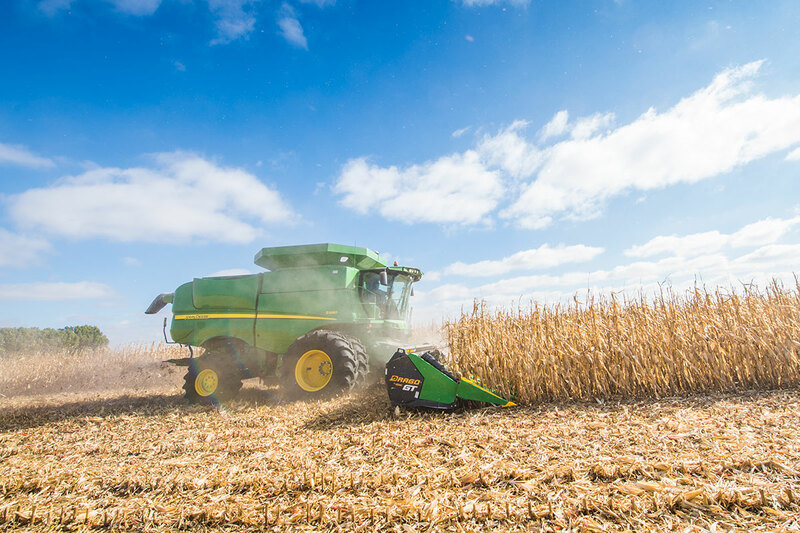 Combine optimization has often been considered the key to corn harvest efficiency, but as producers’ harvest equipment needs have grown, corn head performance has become equally as critical. 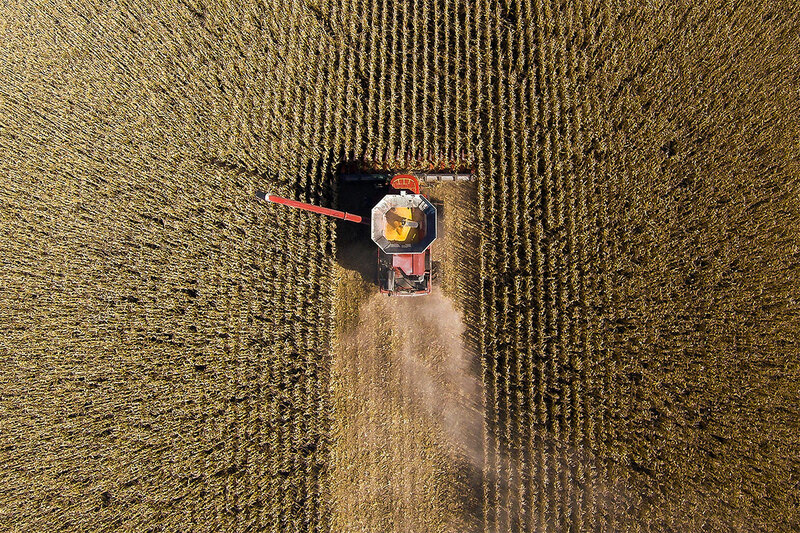 “Twenty years ago it was not unusual to see the same corn head run through two or three different combines, but due to enhanced genetics, tougher stalks, an increase in acres and the amount of plant material being run through the corn head, today, that trend has changed,” says Fenton, Iowa farmer and Dragotec President, Denny Bollig. Reliability, need for capacity and cost minimization are common reasons producers choose to replace their corn heads. 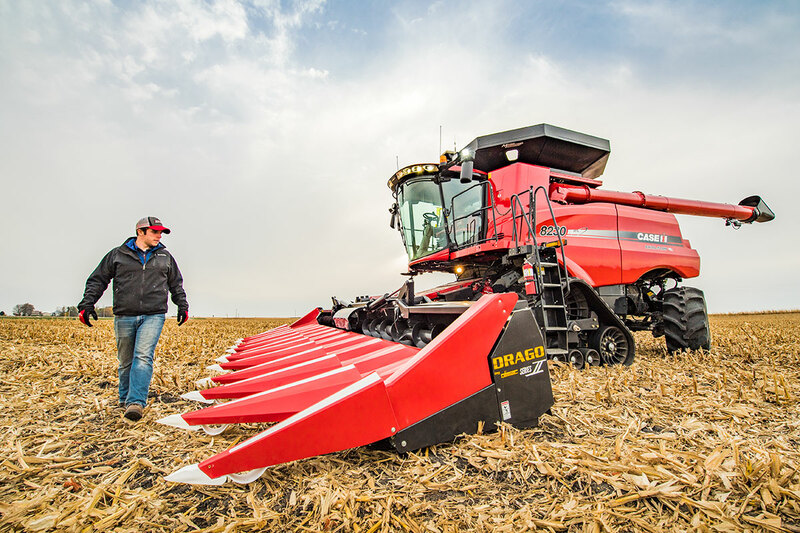 For Mark Hiscocks, a corn producer from Garner, Iowa, the decision to upgrade was motivated by a change in row spacing and the introduction of new chopping header technology. In 2007, Hiscocks bought a six-row Drago Series I, a purchase that was worth more than his combine. “Initially I was able to justify purchasing a chopping head because it allowed me to eliminate a pass in the field. I was also impressed with the low cost of operation, reduction in kernel loss and the automatic deck plates, a yield-saving feature none of the competition had,” he explains. In 2016, Hiscocks upgraded once again to a six-row Drago GT model. He was attracted by the Twin Chop+ option to maximize residue sizing without increasing the need for horsepower. “Aside from comfort features, the workings of combines haven’t changed much. Investing in a new corn head has not only improved harvesting and handling in my operation, it’s allowed me to get more corn in the bin,” says Hiscocks. “Dollar wise I’ve probably gained 1 to 2 bushels per acre since upgrading in 2007. Take that times the number of years I’ve been running Drago corn heads and we’re talking a significant increase in yield savings,” he adds. For other corn producers, like Denny Bell from Terra Haute, Indiana, durability also drives corn head upgrade decision making. Similar to Hiscocks, Bell started with a Drago Series I. Today he runs a 12-row Drago GT without the chopping feature and has noted comparable bushel per acre savings. Whether purchasing new or used, corn head upgrades are an affordable alternative to improving combine performance without replacing the largest, most expensive machine in a corn producer’s harvest equipment line-up. According to Bollig, corn head upgrades are also a cost-effective way for corn producers to stay competitive during tough economic times.